that came out of him. like the fist of a newborn. Derricotte is scheduled to read at Vermont Studio Center in Johnson, Vermont, on Monday June 4 at 8 p.m.; the center often changes dates and times, though, so be sure to call ahead to confirm and to reserve your seat: 802-635-2727. Derricotte's 2004 Guggenheim is likely to have given her space for much new work, which she may read. She's also co-founder (with Cornelius Eady) of Cave Canem, which began in 1996 to give African American poets a safe and supportive center from which to spring forward. She'll be teaching there this summer (www.cavecanempoets.org). It's a short title, contrasty and "in your face," nearly as short as a text message. CHAT is Archer Mayor's 18th in the Joe Gunther police procedural series, and the scheduled release date is October 25. At Mayor's recent visit to the St. Johnsbury Academy campus (English class, Forensics class, Lyceum Club), he said cheerfully that all's well with his world -- the new book is rolling toward production, he has a fresh contract with another publisher for two more to follow, and he's swinging into a detour that excites him: a World War II thriller that will probably take him to Burma and perhaps Japan for some on-site research. Mayor has always admitted readily that he doesn't outline his books in advance, and that the plot twists and ending can surprise him. His 2005 Joe Gunther mystery, ST. ALBANS FIRE, had approached the halfway point and was getting almost stuck when an autograph seeker rapped at the door of Mayor's Newfane, Vermont, home. After scribbling his name in the profferred book, Mayor asked the visitor, "So what do you do, anyway?" "Oh," said the flatlander, "I'm head of an arson task force in my city." "Wow," Mayor responded, "you've just given me the second half of my book!" He took the notion and ran with it. CHAT revolves around Internet crime, and number 19, now in progress, is set in the state of Maine. For these, as for ST. ALBANS FIRE and the 2006 book THE SECOND MOUSE, Mayor likes to soak up stories from the people at the front line of police and other investigative work. "Everyone loves to talk," he explains. "You just have to be respectful and not cut them off, and you have to carry an aura of trustworthiness" -- which includes being respectful in print, too, in the resulting novel. In spite of not knowing plot details as he works his way along, Mayor notes, "I do know who dunnit ninety-five percent of the time. And the reason I know is, I want to know why they did it. Most of these people are not bad guys. They're the ones who should be driving around with a bumper sticker saying, 'It seemed like a good idea at the time!'" 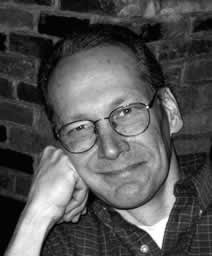 He's physically writing for about three months of each year; the rest of the time is eaten by "doing the business of writing," like author events and meetings. Of course, he has a couple of day jobs, too, Vermont style: He works as a police office in Bellows Falls and as a state death investigator. When writing, Mayor's goal is five pages per day, and most of all, it's to create a solid, well-revised first chapter, which he uses as a springboard into the rest of the novel. "Since I don't have an outline, starting strong with that hook is very important to me," he pointed out. Don't ask him which mysteries he's reading in his own spare time, though; between the two police jobs and the murder writing, he escapes into other genres, and is currently reading an exploration of Australia, by Robert Hughes. Hurrah, I've finished revisions on the YA novel of mine that will come out in fall 2008 from Candlewick Press (more on that another time). So I'm back to the blog, with TONS of information on upcoming poetry and mystery events and books in progress, as well as a stack of reviews about to erupt. 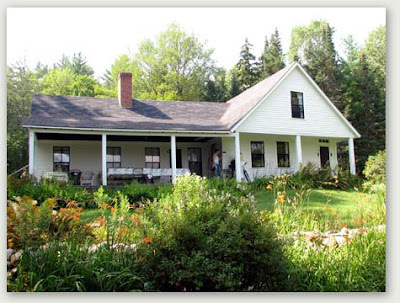 Urgent: If you can be in New England at the end of June and/or the end of July, plan to attend the open-to-the-public (donations welcome) evening poetry readings at The Frost Place in Franconia, NH. It's a great chance to enjoy world-class poetry and poets. The BIG annual Frost Day Celebration is Sunday July 8 at 2 p.m, featuring scholar Robaert Faggen, editor of The Notebooks of Robert Frost, and resident poet Jody Gladding. Special event: Wednesday August 1 at 3 p.m., there will be a fantastic gathering of premier(e) poets reading to the public: Donald Hall, Galway Kinnell, Maxine Kumin, Grace Paley. This is a grand benefit for The Frost Place. What a way to savor New England's top voices! She left behind Connecticut, where she was an editor of the Connecticut River Review. She dug into her Craftsbury, Vermont, homestead, tugging at the strands of community, finding a place for herself. 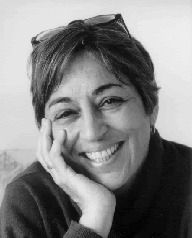 Long a member of the International Women's Writing Guild, she soon committed to the local library; to the Jewish community in Montpelier; and to the poets around her, forging friendships, exchanging support. 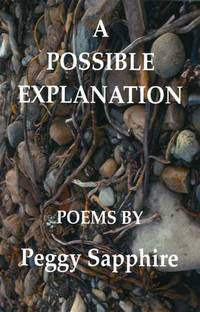 So when Peggy Sapphire's first collection of poetry, A POSSIBLE EXPLANATION, arrived in 2006 from Partisan Press, there was a warm welcome from many communities and friends at once. After all, she has 40 years of writing poetry under her belt. And now we can sample it with more than one poem at a time. Sapphire has just returned from an event with the Connecticut Poetry Society, a group that publishes the Connecticut River Review, That followed a reading she gave with other poets (Greg Delanty, Martha Zweig) in Manchester, as well as her visit to Kingdom Books. Count on conversation around growing up on the Flathead Indian Reservation in Montana, as well as perhaps Goodan's time in Northern Ireland, his farm in western Massachusetts, and his uneasy stance caught between ethnic backgrounds and passions.